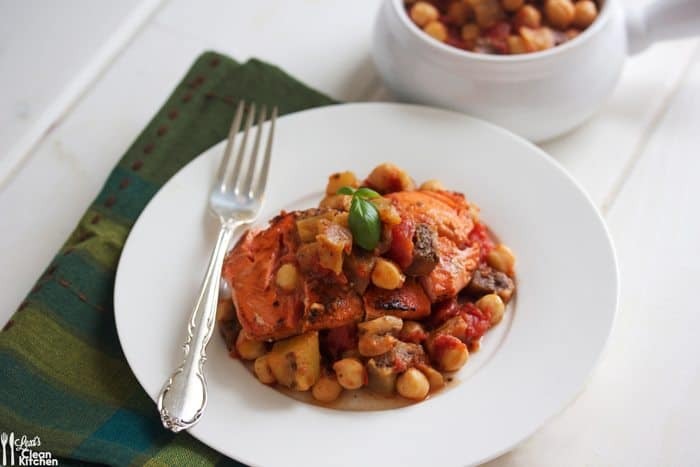 This Tomato, Eggplant, and Chickpea Ragout is both light and hearty! 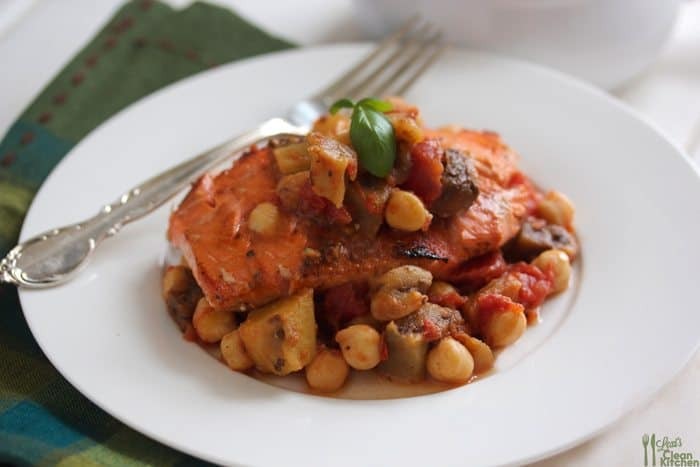 It is customizable with your favorite protein, and is so delicious! December is officially here and I am transitioning from my Fall favorites to Winter dishes. 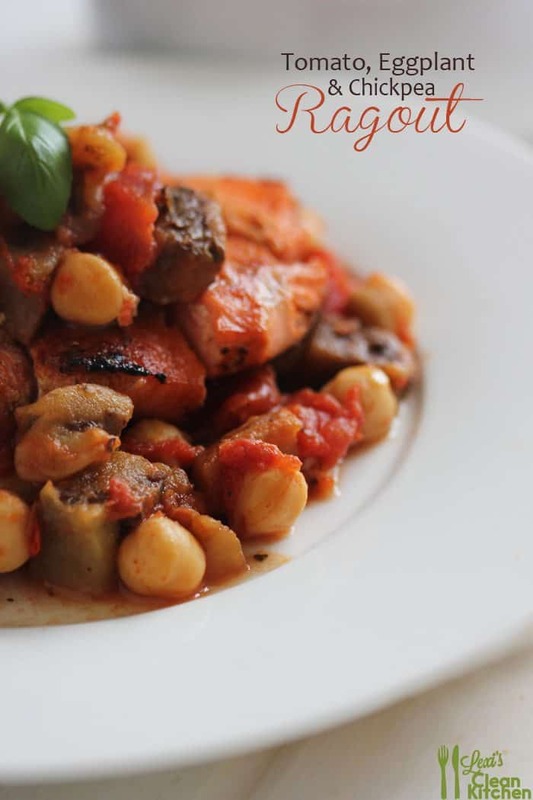 As it gets cooler, I love topping my dinners; whether chicken, steak, or seafood, with a warm ragout. 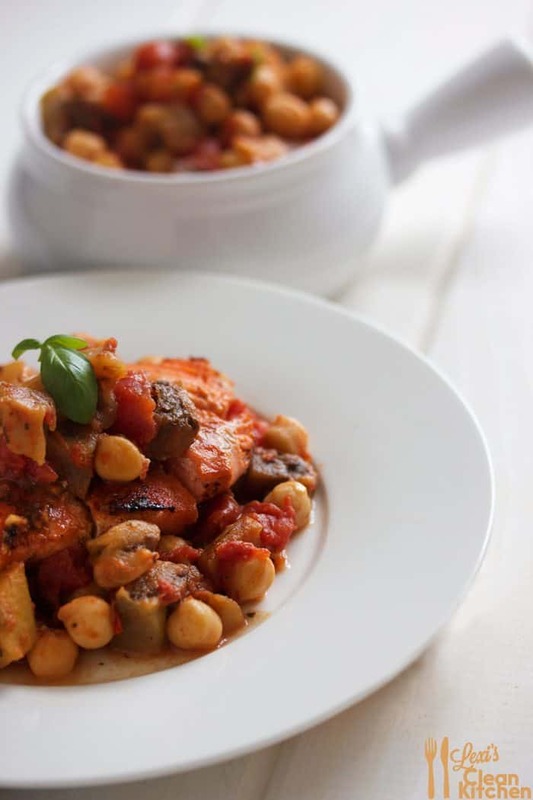 The best part of this Tomato, Eggplant, and Chickpea Ragout is that it tops any protein of choice perfectly. Plus, it’s easy to throw together! 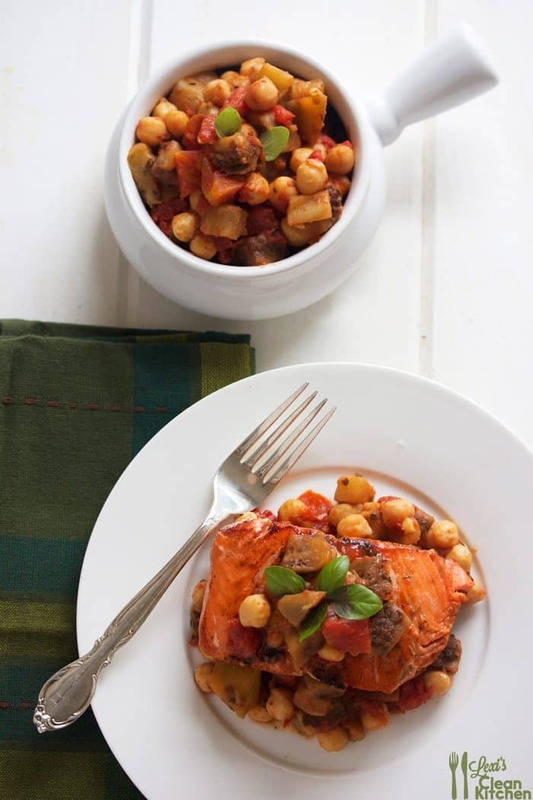 What are your go-to Winter dishes? In a large skillet heat oil and garlic. Peel and cube eggplant and add to skillet (and optional onion if you are adding it). Saute for 7 minutes, mixing often. Add in diced tomatoes and spices, let cook for 5 minutes (add optional spinach here), then reduce heat and let simmer for 15 minutes. Taste and adjust spices as desired and serve with protein of choice. I’ve been looking for a recipe like this. It looks delicious and sounds super easy! Wow, this looks amazing AND easy. Win-win situation. 🙂 Pinning immediately. Can’t wait to try this one! I made this tonight and myself, husband and kids all loved it. I ended up adding shredded roasted chicken breast right into and let it all simmer together for 30 minutes. Thanks for the delicious and super easy recipe! This looks delicious Lexi! Bonus: I have all the ingredients in my house right now. Definintely going to share this recipe with everyone! Made this last night and it was delicious! My boyfriend even said “this is a “make again” dish”! 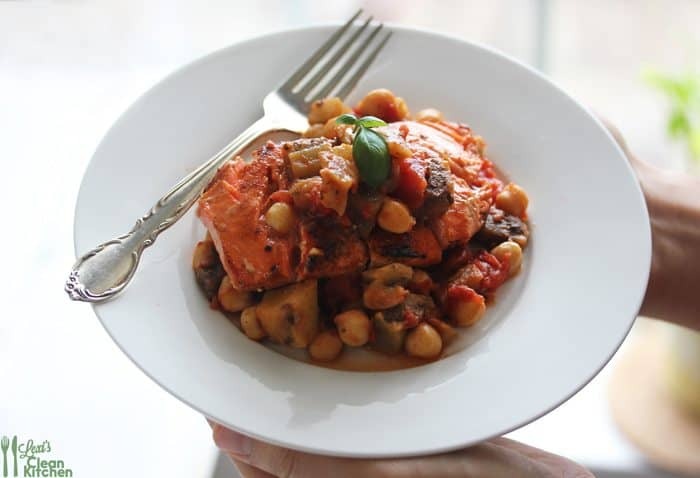 Very easy to make with simple and delicious ingredients.. so excited to have the leftovers for lunch today! thanks for the great recipe(s) Lexi! I just wanted you to know that I’m in charge of menu planning and serving at a men’s soup kitchen, and tonight we’re making this! Thank you for the fabulous recipe; this looks perfect for a rainy night! This completely made my day. Thank you so much for sharing. Lexi, how many does this recipe serve?